In the Database benchmark Geekbench lit up a potential hit – popular flagship Xiaomi Pocophone the second generation. Characteristics appear to be contradictory: it seems that the tested commodity device, and an engineering sample. However, it still makes sense to consider the new data. Most importantly, the benchmark confirms that the smartphone flagship single-chip platform Qualcomm Snapdragon 855 (code name msmnile refers to it). 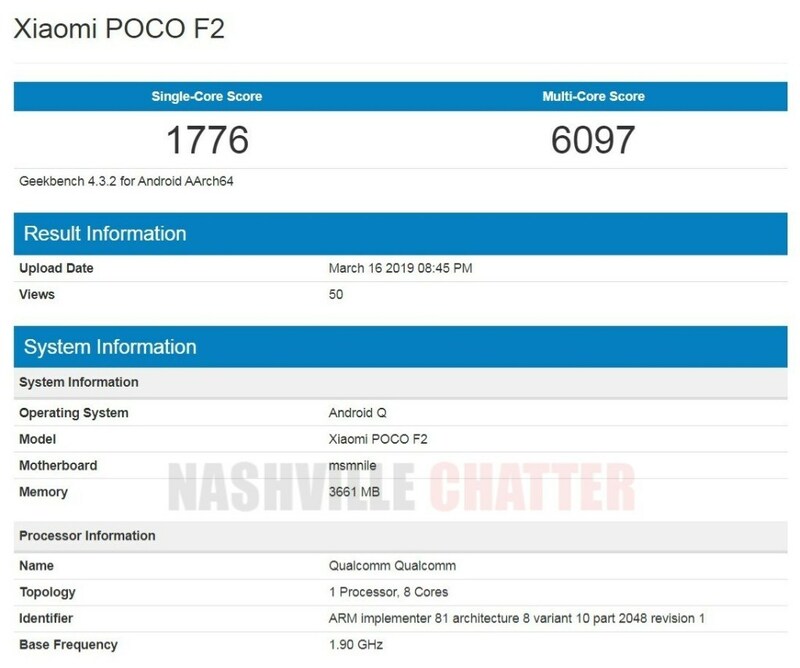 Nice to see and Android Q. Pocophone F2 will be released, likely at the same time that the Android Q, so it would be logical to propose national flagship with the latest version of the OS – this would have a positive impact on demand. On the other hand, judging by the presence of only 4 GB of RAM and inexpressive performance (1776 points in a single-threaded test and 6097 points in a multi-threaded is way too low for Snapdragon 855), it may well be that Geekbench tested engineering option is intended just to explore and debug Android Q. In this case, the presence of the latest version of Android as pre-installed on commodity version of the smartphone is not guaranteed.